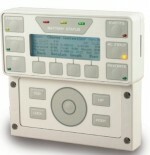 Two software applications written for OutBack Power’s inverter line. What’s a pinout? If you don’t know, you can safely ignore this post. Build a light listening device and eavesdrop on flashlights, laser pointers, and even the sun!